He is not the first person to claim this. 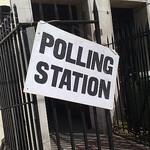 Richard Mawrey QC has previously suggested that postal voting allowed ‘industrial scale fraud’ and Conservative Councillor Peter Golds has suggested that personation and undue influence was common at polling stations. The commonly proposed remedies are the abolition of postal voting and voter ID requirements. As Eric Pickle’s review of electoral fraud closed last week, these ideas will no doubt be considered. Alistair Clark and I conducted a survey of poll workers at the 2015 general election – the first of its kind in Britain. We have provided a summary of this to Eric Pickles’ commission for consideration as evidence (download this here). Alistair Clark and I therefore recommended to Eric Pickles that the voting and registration process is not made more difficult for citizens unless other measures to redress crisis levels of participation and registration are introduced. In particular, we suggest that feasibility of automatic registration and allowing citizens to vote at other polling stations is investigated. This could be done on a pilot basis initially, if necessary. Unlike politicians, citizens do not think about elections and electoral registration every day of their lives. Research that I have done elsewhere shows how many people think that they are already on the electoral register because they pay council tax. At the same time, electoral services departments are under pressure because of lack of resources, while the elections petition system is not fit for purpose. The polling and registration process needs to be made simple, convenient and properly resourced.